The Rohingya were relatively unknown in international news until just last summer. The BBC reports that since then, when Myanmar’s military began its violence against them, the sprawling camps in Cox’s Bazar, Bangladesh became the largest in the world, housing over 900,000 Rohingya fleeing violence in Rakhine State. Hundreds of Rohingya continue to flee into Bangladesh daily and the camps are growing in response, with new construction breaking ground in Kutupalong Camp. Despite new refugees arriving daily, the two governments intend to send the Rohingya back within a 2 year timeframe. 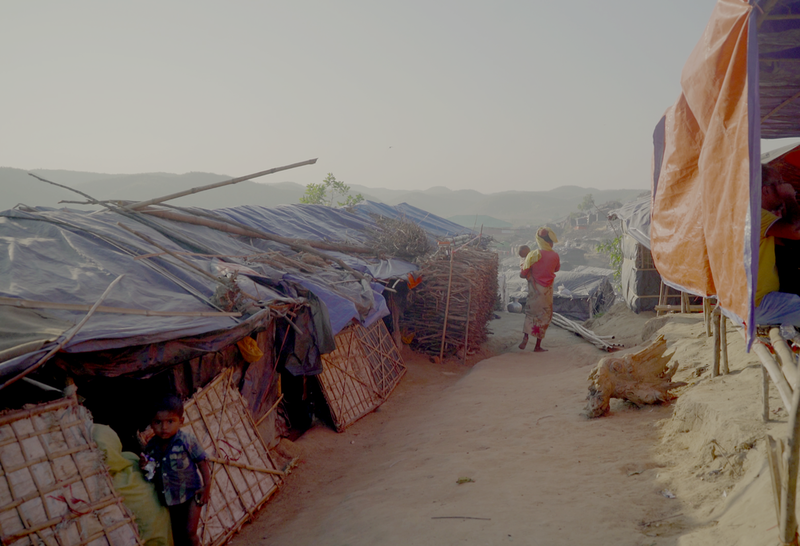 They will not be going back to their homes, which have largely been burnt down, but instead to languish indefinitely in camps built by the Myanmar military. There they will stay, until they can prove their previous residency in Myanmar, a feat made nearly impossible because most of their possessions were incinerated by that same military. The repatriation deal struck with Myanmar does not guarantee the killing will stop. We could not find this repatriation plan confirmed anywhere in the media at large until six days before it was set to begin. Neither nation consulted the Rohingya themselves. A mother and child amidst the temporary shelters built by refugees with materials supplied by aid organisations such as IOM and UNHCR, in Kutupalong Camp, Cox's Bazar, Bangladesh. The reasons behind the Rohingya persecution are complex and a topic of fervent controversy. Up until 2012, Myanmar, was a military dictatorship, but the transfer of power to an at least functionally democratic system has created tensions in Rhakine State. Myanmar recognises 135 "official ethnicities" as being native to the country. 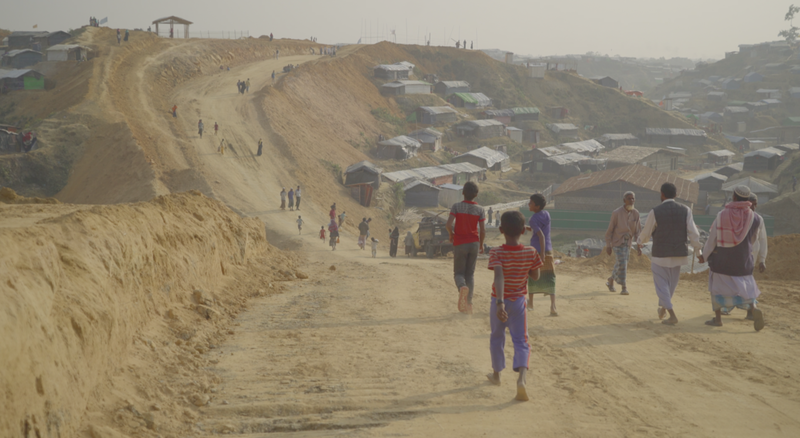 Despite decent evidence of long being settled in Rhakine, the Rohingya are not counted among these and are largely painted to be Bangladeshi migrants. This status makes them a stateless people, lacking ID cards and voting rights. If they were enfranchised, the Muslim Rohingya vote could (at least prior to over a million fleeing) pose a substantial opposition to the Buddhist Rhakine vote. The current border between Myanmar and Bangladesh didn't exist under British Colonial times and Muslim and Hindu Indians and Bengalis once made up large numbers of Myanmar's population. This history, along with the rising spectre of Islamic terrorism, has contributed to a growing siege mentality in Rhakine, aggravated by increasingly nationalist Buddhist groups such as 969 and Ma Ba Tha. Rhakine State, like the rest of Myanmar's borderland territories, is also rich in natural resources. Ramree Island, off its coast, now serves as the western terminus of oil and gas pipelines linking the Indian Ocean with China's southern Yunnan Province, a route that bypasses the narrow, U.S.-patrolled Strait of Malacca. The stories of persecution committed against the Rohingya in Myanmar are immense, condemned by the international community, frequently labeled as ethnic cleansing yet inexplicably falling short of being declared genocide. Such a label would require definitive action against Myanmar, including sanctions and withdrawal of foreign investments. The incentive for Myanmar to 'play nice' and welcome the Rohingya back are not hard to see, yet granting them their primary request of being recognised as citizens is something we fear will never be granted. What will they repatriate to? Most refugees in the camps (of which 55% are children) either haven’t heard of the repatriation deal or have done so through news outlets or from community rumor, as nobody is talking directly with them, never mind consulting them on their views regarding their safety and concerns for the future.